Chad Donato dominated on the mound and Chandler Taylor enjoyed a big night at the plate as the Quad Cities River Bandits beat the Clinton LumberKings 6-1 on Friday night at Ashford University Field. 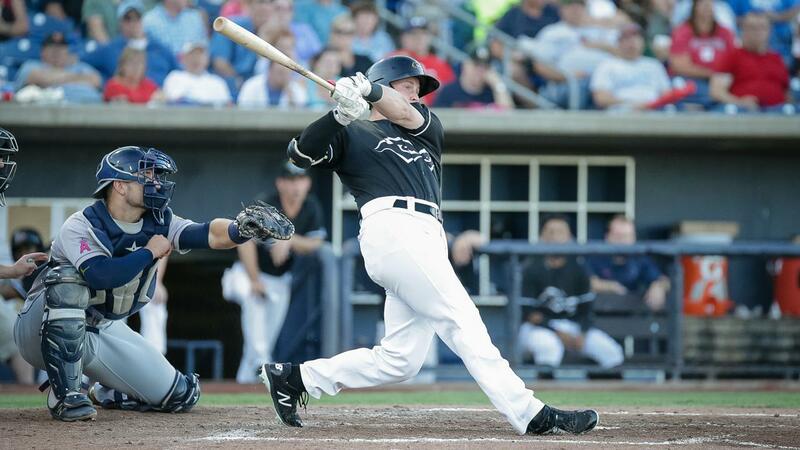 The game was the final road contest of the regular season for the River Bandits. The Bandits jumped in front with a crooked number in the fourth inning. Alfredo Angarita opened up the frame by beating out an infield single and then moved to second when Miguelangel Sierra walked. Trey Dawson loaded the bases with another single. Michael Papierski got the Bandits on the board with a chopper to short that plated Angarita and made it 1-0. The lead grew to 3-0 on a two-RBI single that rolled through the left side off the bat of David Hensley. Taylor's ninth home run of the season stretched the lead to 4-0 in the fifth inning. Taylor whacked a 3-2 breaking ball from southpaw Steven Moyers onto the party deck in right field. Following 6.0 shutout innings from Chad Donato, Clinton got on the board in the bottom of the seventh. Reliever Tanner Duncan issued back-to-back walks with one out to start the rally. With two outs, Ariel Sandoval dropped a shallow single into right field to score Keegan McGovern and trim the Bandits lead to 4-1. However, it was the River Bandits who did the final damage of the night, scoring a pair in the eighth. Matt Clancy issued two walks to start the frame and then everyone advanced safely on a sacrifice bunt from Angarita when Clancy's throw pulled the first baseman off the bag. Sierra followed by hooking a single down the left field line that scored two runs and gave the Bandits a 6-1 advantage. Donato went 6.0 scoreless innings and struck out a career-high matching 11 hitters. He allowed just two hits and did not issue a walk. Duncan allowed one run in 1.0 inning on the hill during which he struck out the side. Tim Hardy pitched the final 2.0 innings out of the pen and did not surrender any runs while striking out a pair. The Bandits struck out 16 in the game, the fourth time in the last five contests they have recorded at least that many strikeouts. The Bandits ten-hit attack was led by Taylor who went 3-4 with a double, home run and two runs scored. Hensley also added two hits and two runs batted in to the cause. The River Bandits (38-29, 78-59) begin their final series of the season against the Peoria Chiefs (37-29, 76-60) at Modern Woodmen Park on Saturday night at 6:35 p.m. The Bandits will hand the ball to RHP Bryan Abreu (4-1, 1.83) against Peoria RHP Zach Prendergast (7-3, 2.83).